ROSEMARY - Primarily beneficial for those with oily, acne-prone skin, rosemary oil and extract both have powerful astringent, anti-fungal, and disinfecting properties. The plant is also rich in biologically active compounds and antioxidants such as calcium, vitamin B6, iron, cineole, and verbenon that effectively tone and tighten loose, sagging skin. That's why these DIY mixes are perfect for this strange winter weather we're having. Not to mention they smell wonderful! Combine all ingredients in a saucepan over medium heat until the oil is warm. Turn off the stove and let the rosemary marinate in the oil for an additional 20 minutes. Strain the dried leaves from the mixture and pour the rosemary oil into a bottle or bowl. Proceed to coat your scalp and strands with the follicle-strengthening elixir, then wrap your hair in a shower cap. Leave the rinse on for 20 minutes as you go about your business, or blow-dry the cap on low heat for deeper penetration. When you're finished, shampoo your hair to remove the excess oil. Mix the sugar, salt, and carrier oil in a medium-sized bowl, and stir until well-blended. Alternate adding one drop of peppermint and one drop of rosemary oil to make sure the scent is evenly distributed throughout your mixture. Store the mix in an air-tight jar in the bathroom, and scrub your tootsies clean every time you shower! Apply this toner to oily or combination skin to reduce blemishes and calm inflammations. 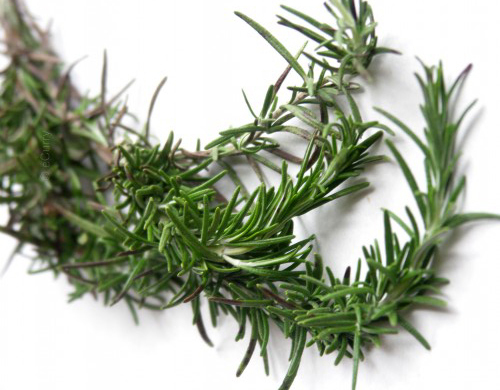 Boil 3/4 cup of water in a saucer, then drop in the rosemary and black pepper. When half of the water has evaporated from the pot, turn off the heat and let it cool. After the liquid has cooled down, pour it into an empty bottle and add the apple cider vinegar. Dab the mixture onto your skin with a cotton pad every evening after cleansing. This quantity should last you one or two weeks.